DRENCHED in its custom dark styling that is now synonymous with its street rod look and feel, Harley-Davidson has taken the covers off its 2017 version of the bike that simply oozes purpose and attitude. Powered by a brand new high output Revolution X 750cc engine, and fitted to a sharper chassis with a more aggressive riding position, the new Street Rod has been designed to thrive in the city, and be an exhilarating ride on the open road. The Street Rod also features a new seat shape designed to hold the rider firmly in place, and sits 765mm higher than its learner-legal family member, the Street 500, to enhance the rider’s view forward. The exclusive 17-inch front and rear Open Spoke Black Cast aluminium wheels and new Michelin Scorcher 21 radial tyres inject an athletic stance, while the new scoop-style air cleaner cover and sharper snap of the exhaust note draw attention to the engine’s strong design. Additionally, the new forged brake/gear levers and aluminium rear-set foot pegs aid control and make it easier for more riders to get good ground reach when stationary. 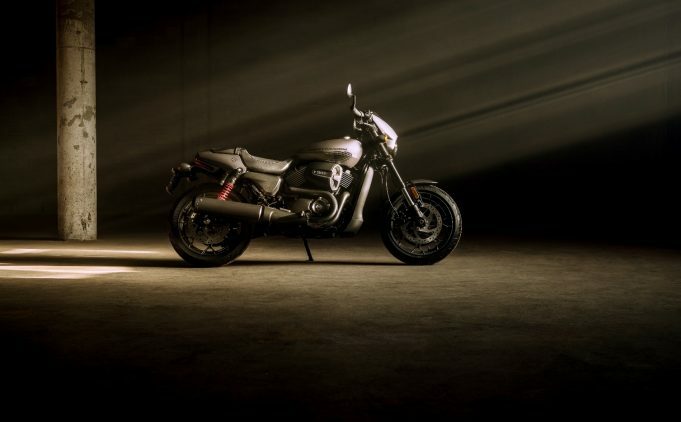 The Street Rod will be available in three colour options: Vivid Black, Charcoal Denim and Olive Gold and hits the road at $12,995 ride away in Australia and $13,995 ride away in New Zealand. Harley-Davidson Australia will also back Brad Jones Racing in the 2017 Virgin Australia Supercars Championship.